Hello again. Dave here with another installment of Back & Forth. All I can say is, wow! What a week... Let's get right into it. 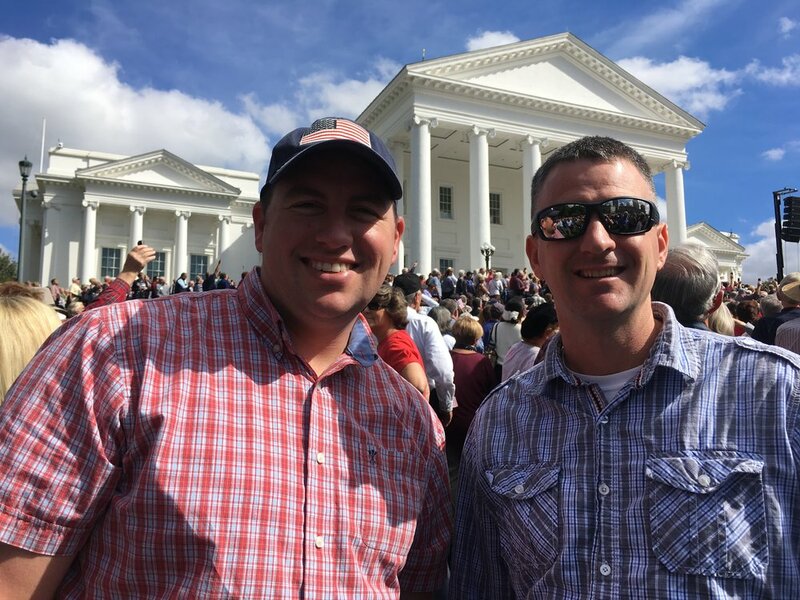 A prayer rally hosted by Franklin Graham was held on the steps of our state capitol building in Richmond. It was a completely packed-out event - over 9,000 people in attendance for the hour-long rally. Our church sent a small delegation who reported being filled with encouragement for the future of our nation. 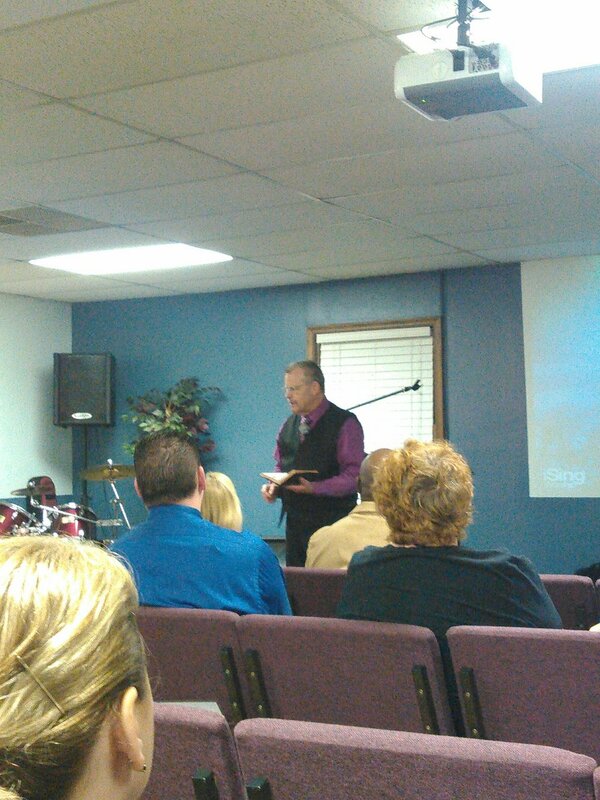 We began revival with Evangelist Dennis Wright and it was, in a word, phenomenal. Evangelist Wright has been preaching for over twenty years, and this was his first trip to Virginia Beach. What an honor it was to have him come. He started out by saying that he could sense something in his spirit regarding the entire Hampton Roads region: REVIVAL. The imagery he used was "low-hanging fruit." meaning that souls are ripe for the picking. It was an extremely encouraging service as God ministered to hearts and lives. 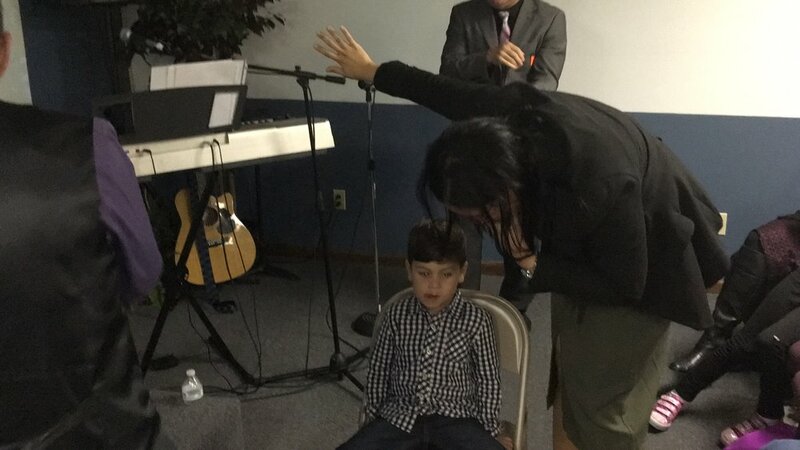 At the conclusion of the service he prayed for the sick, and a notable miracle took place: a young boy's left leg, which was noticeably shorter than his right, grew out! 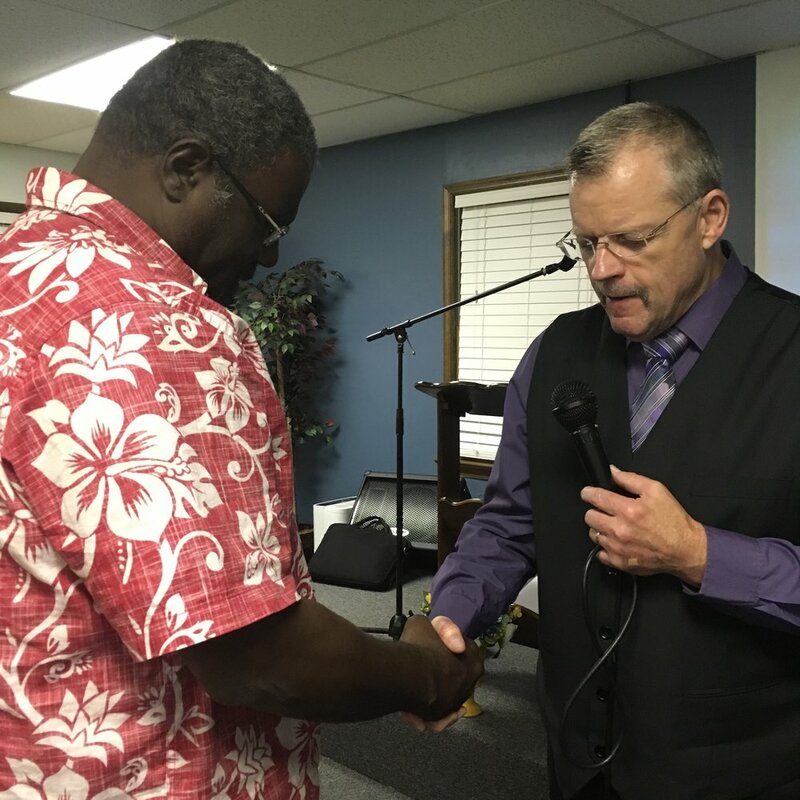 The revival continued and the Evangelist once again stated that he was feeling that Hampton Roads was on the very cusp of unprecedented break-out revival. 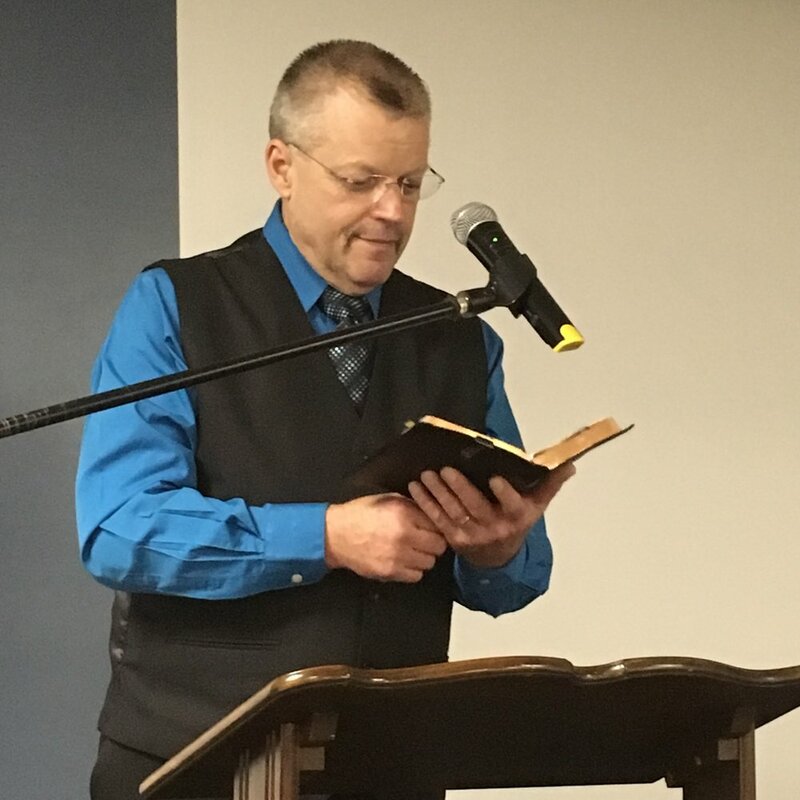 This service was a bit different than normal as God began to speak through the Evangelist to pray against strongholds: principalities and powers, rulers of darkness in the spiritual realm, etc. As he prayed there was something tangible in the air, as if some unknown force actually left the building. As I said earlier, it was phenomenal. In the morning Evangelist Wright preached a Men's Discipleship class for the local churches. About twenty men came despite there being a Harvester's Homecoming happening in Norfolk at the same time. I'm sure that all the men that came are glad they did since not only were they ministered to, but free breakfast was served! It has been my experience that, while revivals are great, there is a natural tendency for the people in the church hosting it to relax afterwards. They feel as though revival is over and we can take a breather. While I'll have to agree that taking a break from time to time is necessary in order to avoid burning out, this can stop all the momentum from the revival. Evidently Pastor Dragoon was well aware that this may happen and preached the house down on both Sunday morning and evening. 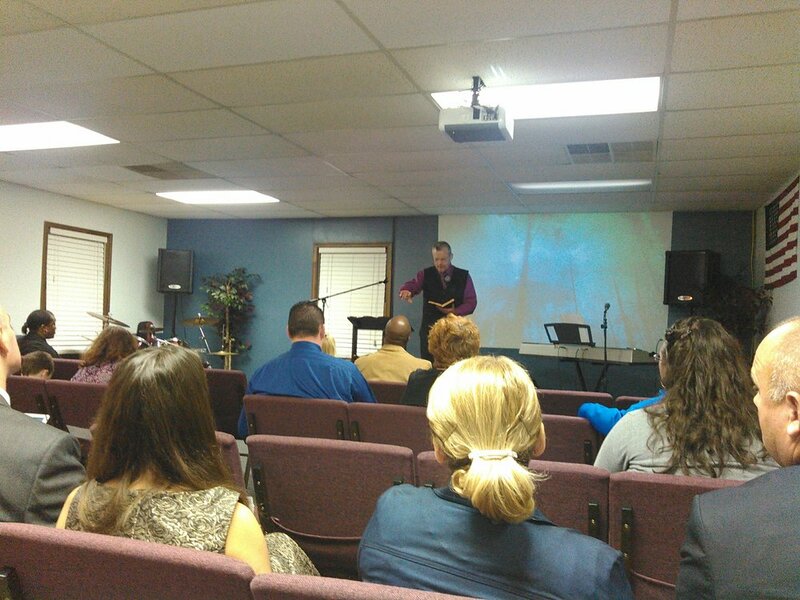 The morning sermon was on the subject of repentance - a conference-level sermon in my opinion. The evening sermon was about standards - particularly our natural desire to lower them, and God's disdain for doing so. This is one congregation that won't be slacking. Our Wednesday "Recharge" services are at 7:30pm. We have been focusing on the upcoming election through a sermon series called "Pray, Think, Vote." Always enlightening and inspiring, Pastor Adam has been revealing the Christian's duty to participate in civil and political matters, not just spiritual ones. I highly encourage you to join us. Pastor said in an upcoming sermon he'll be "naming names" so that should be very exciting. Sunday, October 30th through Wednesday, November 2nd we welcome Evangelist Richard Brooks. No stranger to our congregation, this will be his third revival for us. They get better every time! Have you heard TheBLAST Podcast? This is a podcast hosted by Pastor Adam and myself in which we seek to challenge, inform, encourage and inspire all Christians, especially those within our fellowship. We discuss a variety of topics ranging from discipleship and staying connected with fellow believers to more controversial issues of our day such as abortion and transgenderism. The episodes are available for streaming or download on iTunes or the podcast app of your choice or by visiting theblast.org. Until next time, we pray that God blesses you with good health and fruitfulness. Godspeed!